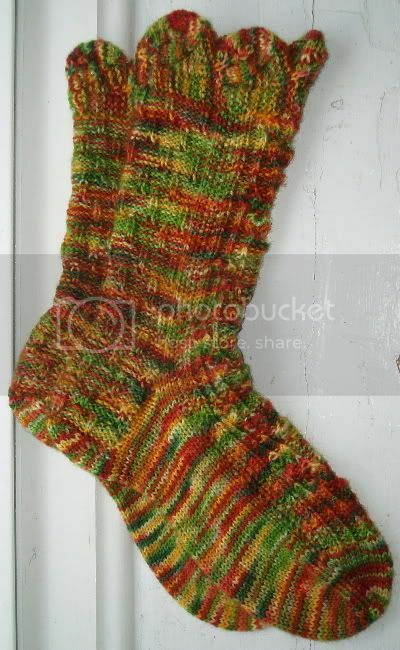 I took better pictures of the Sock Madness socks and the Autumn In Oregon socks together today. As you can see it takes me a lot longer when I knit socks one at a time. Somehow the motivation to finish the second sock is just not there. Now the only orphan is my Hippy Crunchy, so I’ll be putting in some hours on that one before the next Sock Madness sock is started. I love the colors you chose for your Mad Cows! 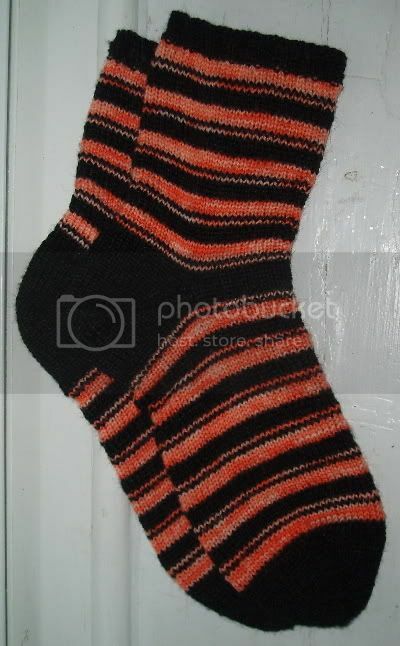 Wow, you’re like the Energizer Bunny of sock knitting! Those are amazing.